Fancy a few months in stunning Gibraltar? We have an immediate need for a Non Consultant Hospital Doctor in Accident & Emergency to work within the Gibraltar Health Authority Hospital until 23rd June 2019. The successful candidate will form part of a 1:6 on call rota during their time there. 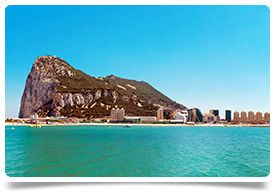 Gibraltar is located at the mouth of the Mediterranean with easy access to the South of Spain and Morocco, as a British Overseas Territory, English is the main language with Spanish widely spoken. Gibraltar enjoys a Mediterranean climate and the healthcare is similar to the NHS in the UK. Reimbursement of economy class flights from UK to Gibraltar and return travel expenses from airport to home return. Additionally, accommodation will be provided either in or nearby the hospital by the Gibraltar Health Authority. Please note Gibraltar is outside of IR35 and you can work self employed or through a limited company. To be successful in this post you will hold GMC registration with a current license to practise. The pro-rated salary will be up to a maximum of £86,432 dependent on experience. If you are interested please forward your CV in the first instance or get in touch to discuss with Allison on 0131 240 5287 or email allison@headmedical.com. We run a refer a friend bonus scheme. If you have any friends/colleagues who may be interested please do pass there details on.